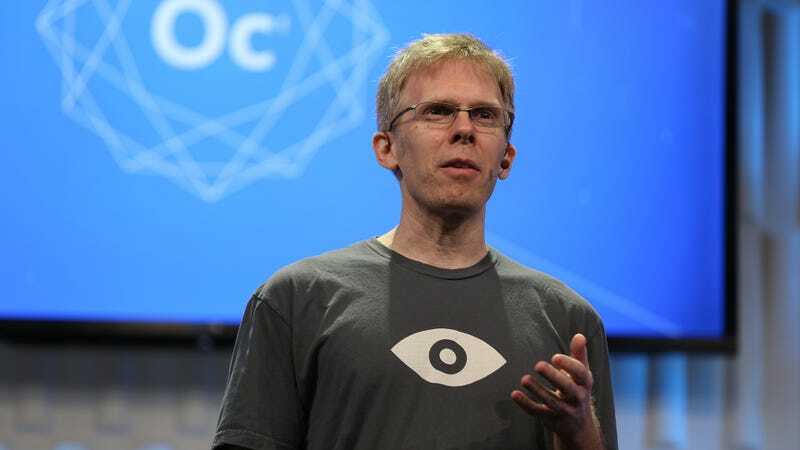 John Carmack, co-founder of id Software and one of the key designers involved in the Oculus Rift, is taking his former employer Zenimax to court for “more than $22.5 million”, reports Dallas News. Carmack claims the money dates back to Zenimax’s purchase of id Software in 2009—it constitutes the remainder of Carmack’s share of that deal as one of id’s three co-founders—and that they are refusing to pay it because of “sour grapes” related to the ongoing legal disputes between Carmack’s current employers Oculus and Zenimax. Defendant ZeniMax Media Inc. will soon be obligated to pay Plaintiff John Carmack more than $45 million in cash under the terms of the Asset Purchase Agreement and a Convertible Promissory Note by which ZeniMax bought the assets of id Software, Inc. in 2009.Mr. Carmack’s right to receive that money ripens no later than June 23, 2017, the eighthanniversary of id Software’s sale to ZeniMax. It is the final payment due to Mr. Carmack for the sale of id Software, the world-famous video game studio he founded and led for more than 20 years. But ZeniMax clearly doesn’t want to pay. And while Mr. Carmack awaits ZeniMax’s seemingly inevitable refusal to honor its obligation to pay the remainder of the purchase price, ZeniMax is already in breach of the Asset Purchase Agreement and Convertible Promissory Note. Pursuant to those contracts, Mr. Carmack has the absolute right “to convert all or any portion of the Unpaid Principal Balance solely into shares of ZeniMax’s CommonStock . . . .” All of those shares are subject to a $45 per share put option that will mature no later than June 23, 2017. When ZeniMax bought id Software in 2009, it agreed to pay a total of $150 million for that purchase. Now that the final installment of that bill is coming due, ZeniMax is simply refusing to pay. But sour grapes is not an affirmative defense to breach of contract. This Court should enter judgment against ZeniMax for all the money that it agreed to pay Mr. Carmack for the sale of his former company. And reading between the lines here, it looks like Carmack’s lawyers are claiming that, after asking Zenimax for a resolution, were told “nuts”. On March 2, 2017, ZeniMax’s general counsel responded to Mr. Carmack’s conversion notice and sale offer. By that letter, ZeniMax made it clear that the company would not voluntarily comply on a timely basis with the conversion notice. The content and tone of the letter also made it clear that ZeniMax was unlikely to comply with its obligations under the shareholders’ agreement by either buying the offered shares or notifying the other shareholders of their right to purchase them. You can read the entirety of the suit here.